Keytek Locksmith Blog: Do your locks meet your insurance requirements? Do your locks meet your insurance requirements? You should always check your home insurance to see what the minimum security requirements are however, most insurance companies will specify that your property must be fitted with British Standard locks on your doors and windows. If your locks do not meet your insurance requirements and you are unfortunate enough to experience a burglary, your insurance could then be invalid and your claim may be refused. For a lock to be classed as ‘British Standard’ minimum standards must be met - this is done through rigorous testing including strength, durability and security. A higher quality lock such as a British Standard can act as deterrent for burglars as it is a lot harder to gain entry through, so all the more reason to upgrade your locks if they are not already British Standard. To read more about British Standard locks follow this link http://www.keytek.co.uk/what-is-british-standard/. 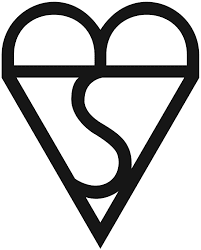 Checking to see if a lock is British Standard can be simple - all you have to do is look out for the Kitemark shown below, which should be on any lock that is British Standard. If not don’t worry, our trained and skilled locksmiths are more than happy to help and to upgrade your locks. Call 0800 0345 0451 now to book in an appointment with us!